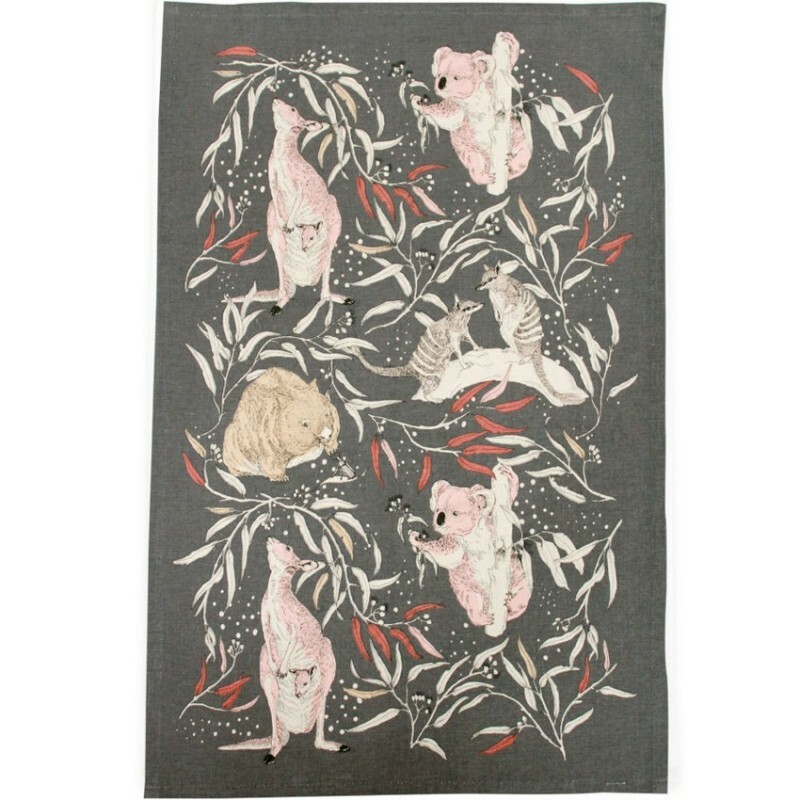 Australian Certified Organic cotton tea towel featuring a pattern of cream and pink wombats, koalas, kangaroos and numbats on a leafy charcoal background. Designed in Australia and printed with organic-standard water-based inks. Machine washable. Made from Australian Certified Organic cotton with water-based inks meeting an organic standard. Colourful pattern of Australian animals. Packaged wth recycled header card. Organic cotton and water-based inks. Designed and printed in Australia. 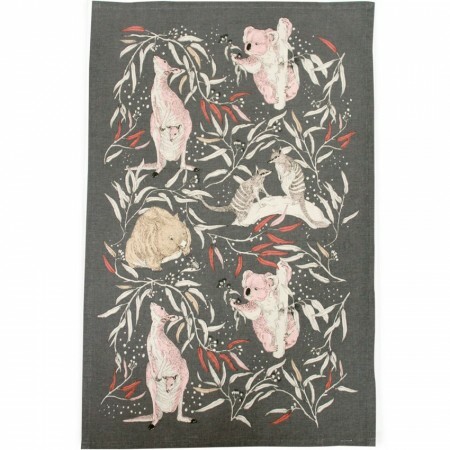 Tea towel made ethically in India.